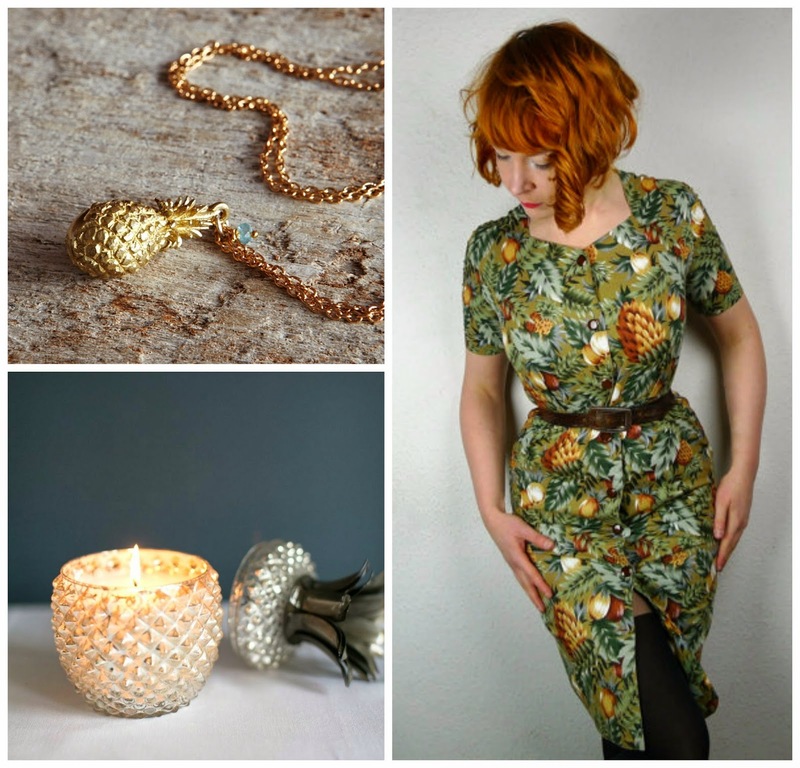 Seemingly overnight, pineapple prints have becoming 'a thing'. We've moved on from Tiki vibes and instead - in the middle of March - everyone is going full on tropical. I'm eating pineapple cake and drinking pina coladas like they're going out of fashion. Black Lace would be proud. Oh GOD. Let's all just take a moment to bleach our eyes. 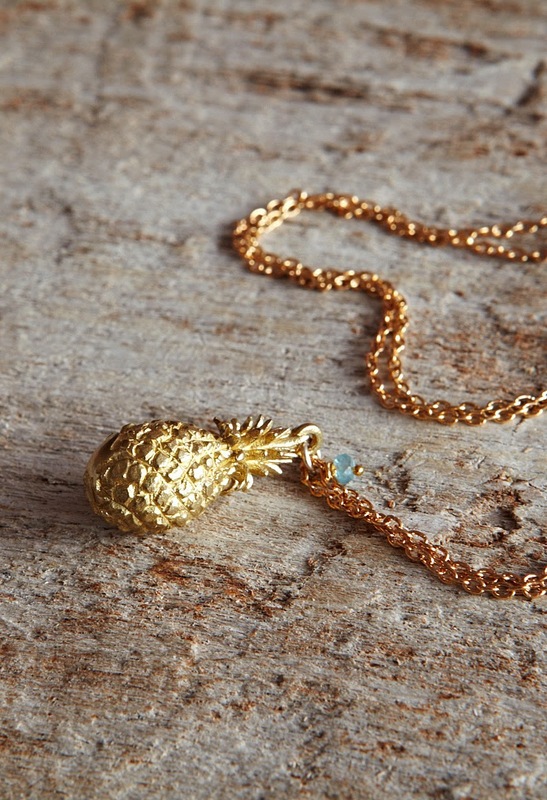 This is the necklace that started my pineapple obsession. I spotted it a couple of weeks ago and since then, I've seen pineapples everywhere. It's £75 from Plumo. 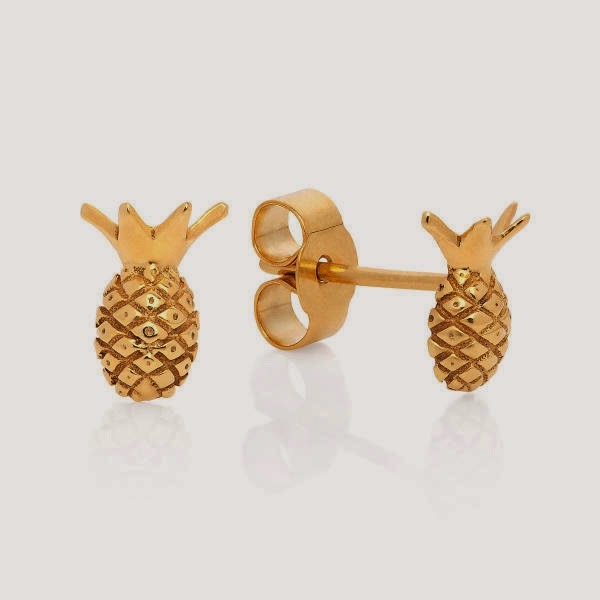 These pineapple stud earrings will go perfectly with the necklace. They're by London-based designer Lee Renee and they're £61 on Boticca. 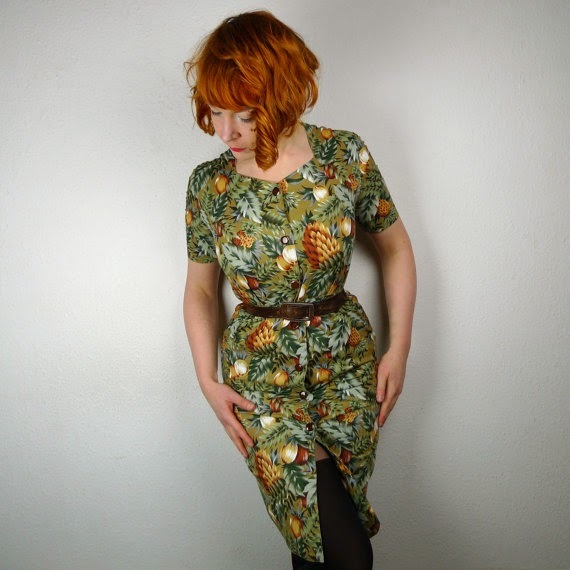 If this vintage pineapple dress is sold out by the time you click the link, I'm really sorry. I bought it. 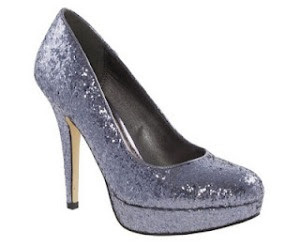 Because it's fabulous and only £35. 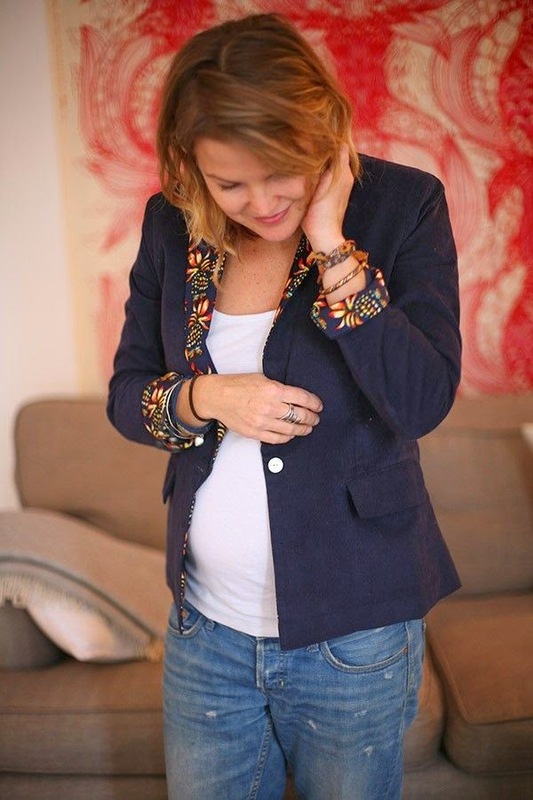 This blazer by Verry Kerry has just the tiniest touch of pineapple print and it's perfection. It's £129 and I want it so much. For something more full on, this chiffon pineapple blouse from River Island (I know!) will do nicely. 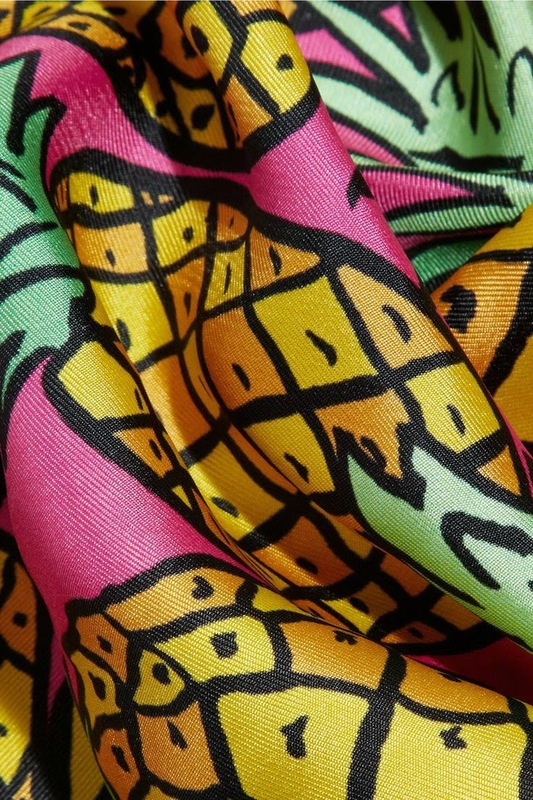 I've found two pineapple scarves on my tropical travels and I can't decide which I like more. This silk one is £65 by Anna Coroneo at Net-a-Porter. 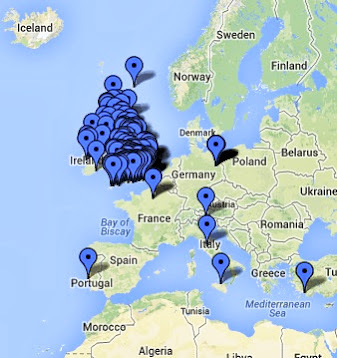 Plumo also have a cheaper option. Their fruity scarf is just £30. 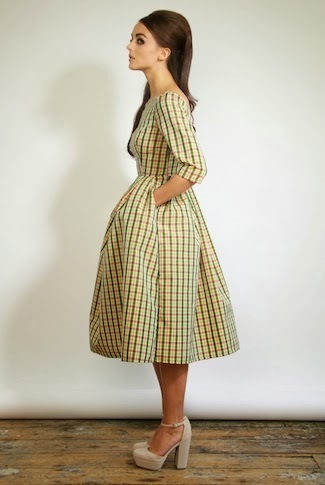 This pineapple skirt is currently £48 in the sale and it comes in blue or yellow. But I don't know what colour is for sale because they've listed 'pineapple bou bou' as the colour. 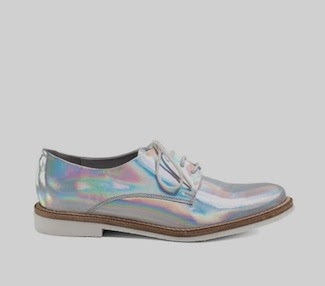 Have a word with yourself, ASOS. 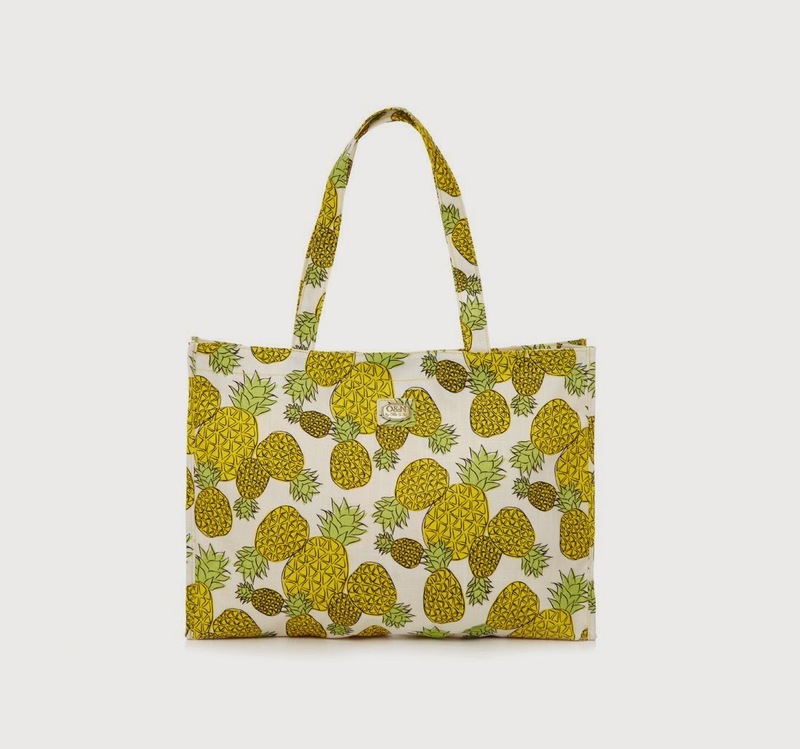 If you don't fancy full-on fruitiness, this Ollie & Nic shopper bag will add a tropical touch to your spring outfit without making you look like the fruit counter at Waitrose. I want to carry pineapples in it. Once upon a time, pineapples were a sign of status and travel. 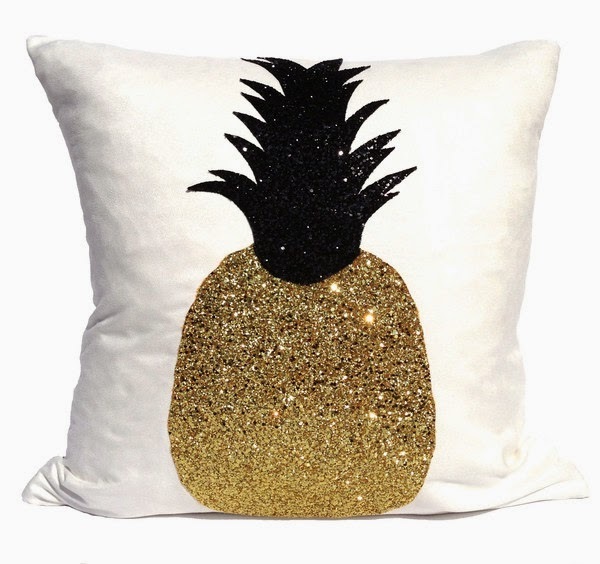 Now they're a sign of having too much money and a penchant for getting your flat covered in glitter because you spent £75 on a ridiculous sparkly pineapple cushion. 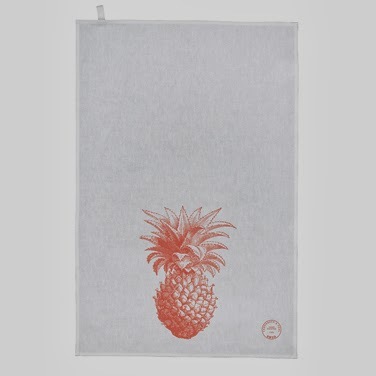 Less ridiculous is this pineapple tea towel from Thornback & Peel's range for I Feel Smug. 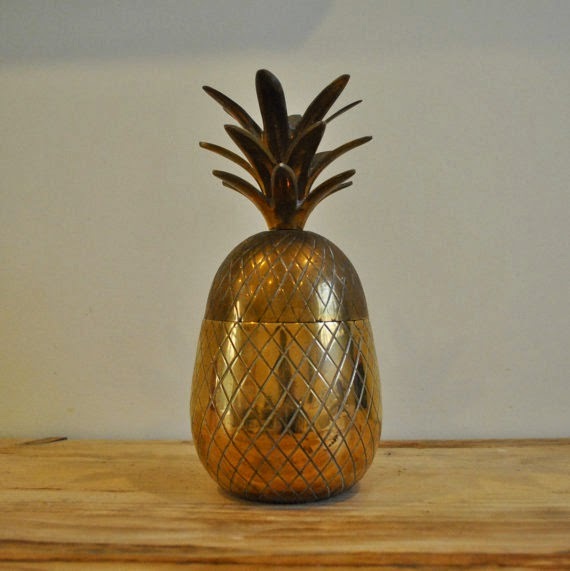 If you're going to make pina coladas and saratogas (and I really think that your should), you're going to need a pineapple-shaped ice bucket. The one picture is from Etsy and there's an Abigail Ahern one going for £75 on Ebay. 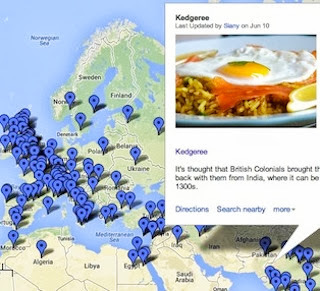 And Far Fetch have a whole bunch. Yes, I want them all in a huge display of silliness. 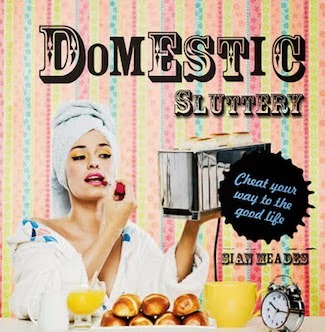 Pineapples are considered a symbol of hospitality, which makes them the perfect quirky housewarming gift (really pineapples also welcome in Sluttery HQ). 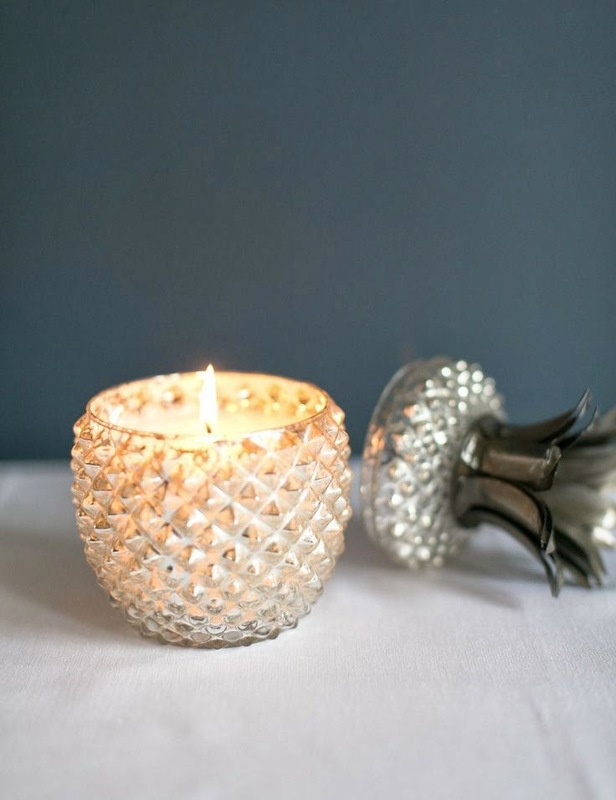 This pineapple candle holder from Rose & Grey is lovely. Alas, the candle does not smell of tropical fruit. 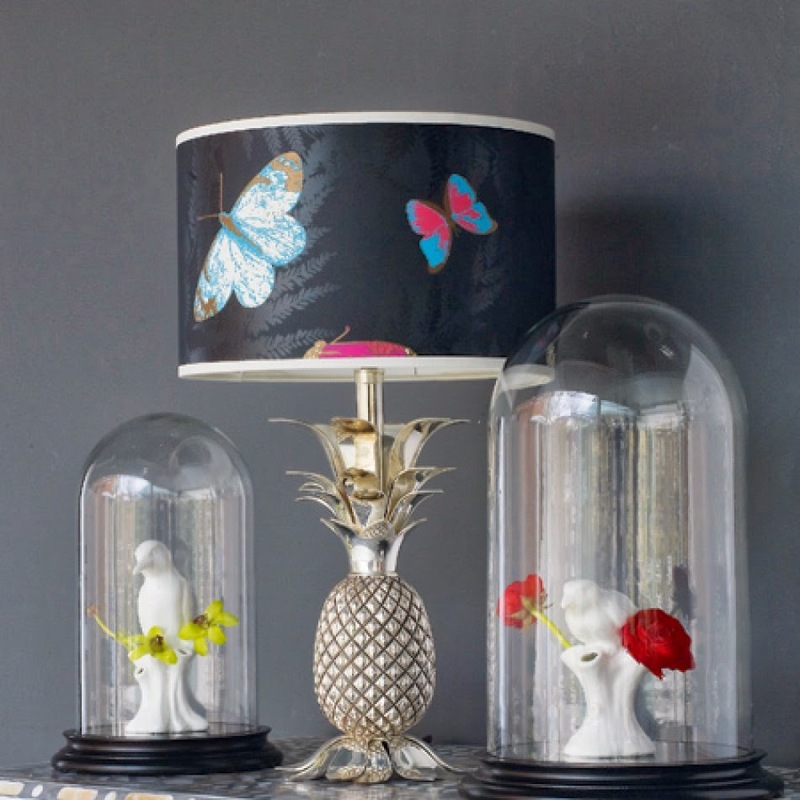 Last, but by no means least is this Graham & Green pineapple lamp. It's the most splendid thing. 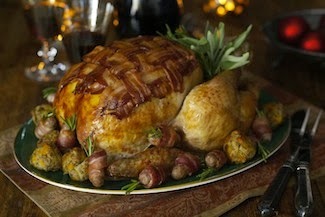 By splendid I do, of course, mean 'a little bit ugly but I think I might love it more than anything'. Pineapples have that power. Just go with it, they're fabulous. I bought that lamp as a house-warming gift to myself two years ago and have had to listen to my boyfriend whinge about its ugliness ever since. He's wrong. It's amazing. What an excellent housewarming gift. He is definitely wrong. 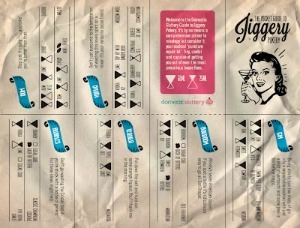 Oh my god Graham and green...I must have all of the website! They give really good pineapple. I shouldn't have clicked the video... I now have Agadoo in my head and am resisting the urge to chair dance at my desk! They're wearing Hawaiian shirts AND leather trousers. That's not OK. I bagged the last dress!!!! 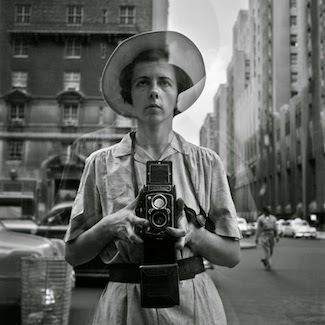 I am so, so jealous. It's fabulous. Oh! Oh! I love that. I wish there was a Kate Spade in the UK.